Read the original on the French-language website. In recent years France has spent upwards of €100 billion per year on targeted and more general measures to boost its flagging job market. These include things like providing training, unemployment insurance and tax credits to companies. Such massive spending to counter joblessness has been a consistent public policy over the past three decades, which have been marked by consistently high unemployment. 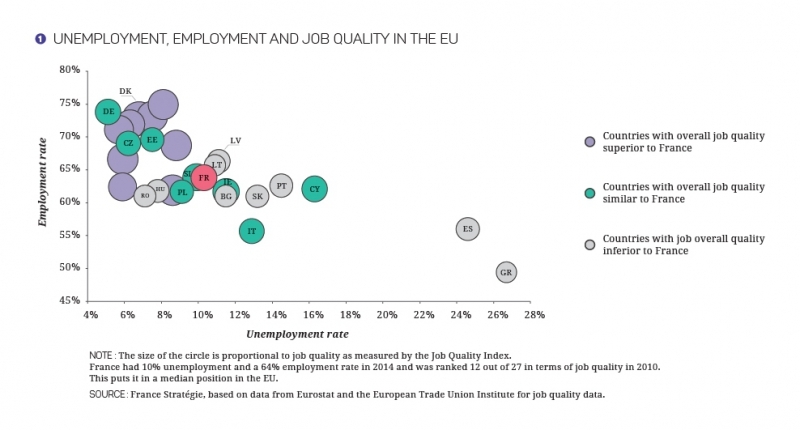 In this France stands out from neighbouring countries such as the Netherlands, Germany and the UK, which have all managed to get a handle on unemployment while ensuring an employment rate and job quality comparable or better than that found in France. Digital technology and the development of new skills may very well continue to transform the workplace in the next decade. How can society anticipate this? And what resources can be mobilized and which actions undertaken?